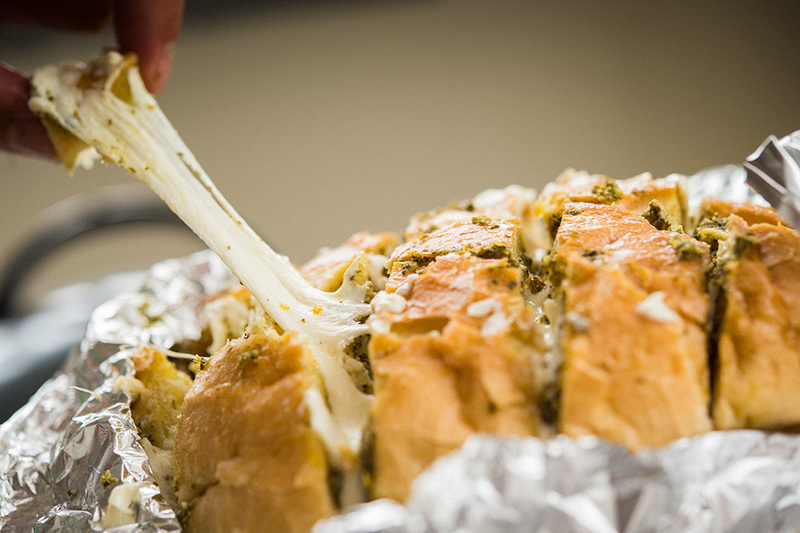 Mozzarella and pesto make for a tasty combination in this party favorite. Serve as one large loaf and pull out chunks of bread to enjoy! Cut the loaf on a diagonal into 2” diamonds, being careful not to cut all the way through the bread. 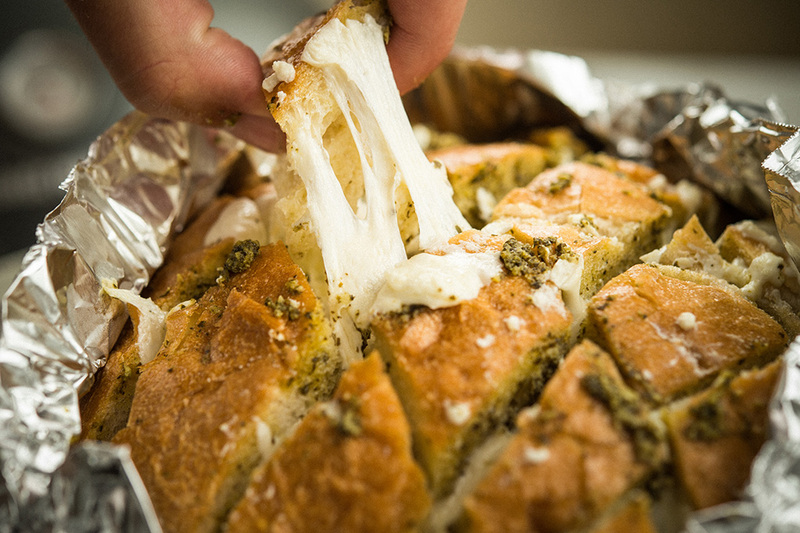 Using your fingers, open each crack and spread the butter and pesto onto the bread coating each piece completely. Stuff the cheese into each crack. 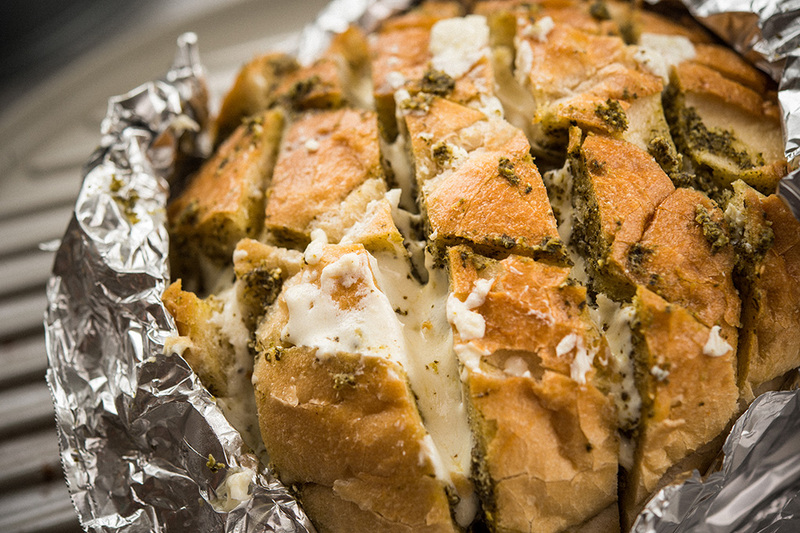 Place a large piece of tinfoil under the bread and lightly wrap up the sides of the bread, leaving the top open. Place the foil wrapped bread onto the preheated grill. Place the lid on the grill. Grill the bread for 25-30 minutes, until the cheese is melted. Serve as one large loaf and pull out chunks of bread to enjoy!